i love the theme, amazing! and i really like your bangles and bracelets too! th draping of your dress is amazing! did u have it tailor made? oh, and thanks for your sweet comment on my blog! 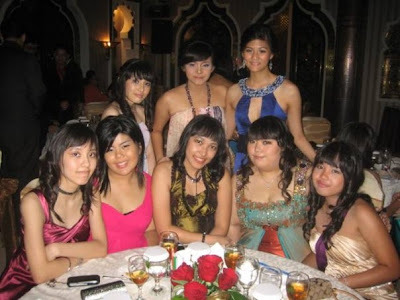 waaa.. nice dress! it turned out to be great ya. ckckck. keren keren. hehe. 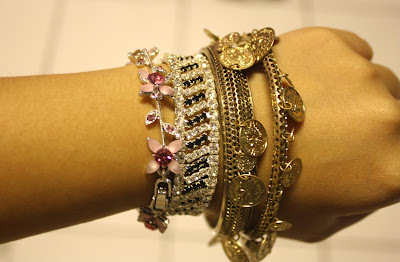 i love your bangles and bracelets hehe :P new post btw. 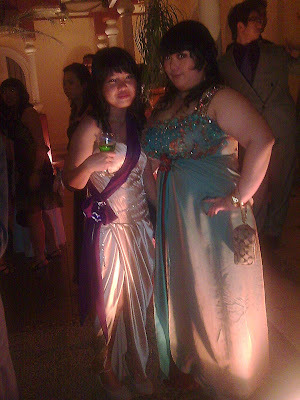 Ooooh fhenny you look so beautiful in that prom dress!!!! Perfect fit, & love your curly hair! 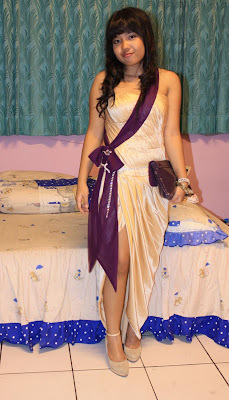 The purple stole is so original! How much time took it to dress up??? aww the dress looks good in you! i've always wanted to learn to belly dance, i just don't have the guts! 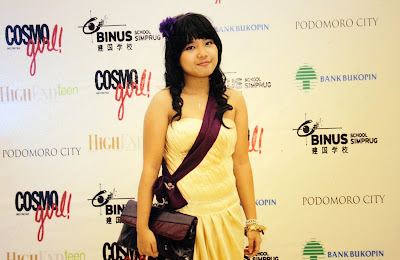 keren dhe prom nya.. miss high skul hehe.. sis, magz impor nya Baru semua kq, dijamin d ^^ kalo mau, sms/email aku aja ya,,thx..
Oh my! You look like a princess! I love this dress idea, is genius!! You are perfect wearing it! Congratulations for the graduation! You are amazing, you know? Thanks a lot for your birthday message! Really sweet!! You look SO gorgeous! I love your outfit! That is so cool! I can't believe you had red carpet entry--this makes my prom totally look like a 6th grade dance. I adore your bracelets. nice dress :) suka gelangnyaa hehehe. 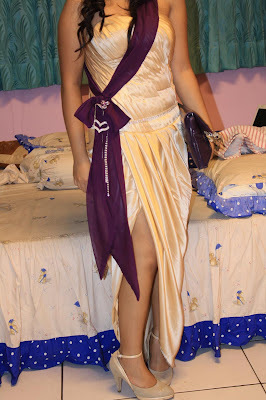 great design of the dress, and great color also. wow! KEWL! I actually took those photos on a bridge behind my boyfriend's apartment building, nowhere special. Anyway, I adore your dress and who wouldn't love dancing with all those bracelets on. the dress turned out beautiful...you look amazing! YOU LOOK FAB... i like the split of the dress. you look like u had fun. 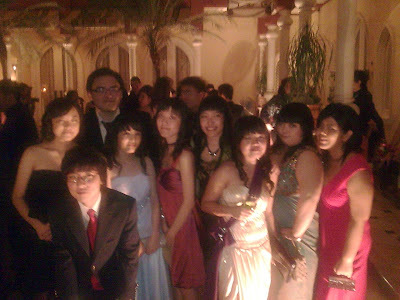 Proms are always incredibly fun! You looked stunning in your beautiful dress! ...and those charming bracelets! what a pretty dress! i love the sash. @ Petrushkabiel: thank you :) Wah stylist dan grafis sekaligus? hebat! i;ve red mahligai and it's so nice! Thanyou for dropping by my blog. All your dresses are lovely, yours is especially nice, i like the colour. And the jewellery you wore went really well :) looks like you had a lovely time.